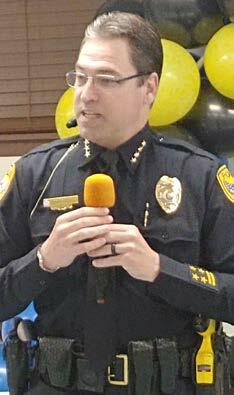 TPD chief Michael DeLeo was honored for his leadership. 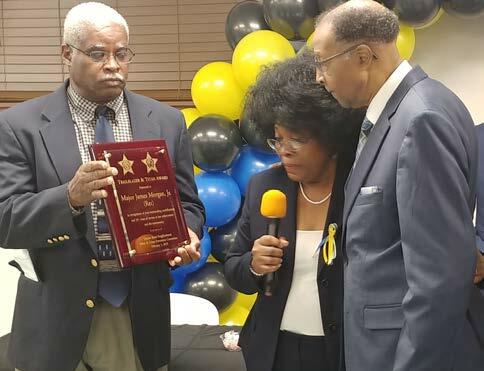 Perkins, who chairs the Greater Bond Neighbor-hood Association’s safety and crime prevention committee, was the driving force behind a program that was staged last week to give recognition and show appreciation to Tallahassee Police Department officers. Working in conjunction with the Bond neighbor-hood, TPD has drastically reduced crime in the area. Perkins said the event was put on in part to help strengthen the relationship between Bond and TPD. “Nobody else would come to a community where people are openly selling drugs and where people are prostituting and doing all those things,” Perkins said. “We have come together and it’s made a huge difference.” Citing TPD’s efforts in other neighborhoods, Chief Michael DeLeo said Bond is an example of what could happen when a neighbor-hood gets actively involved with law enforcement. The Greater Bond Neighborhood Association took the initiative by drawing up plans to revitalizing the infrastructure of the area and it was recently awarded $6 million by CRA to fund the project. Meanwhile, TPD installed surveillance cameras in the neighborhood and intensified its presence, leading to the reduction of crime. 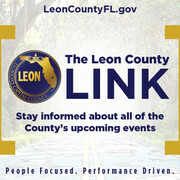 The involvement of residents was the first step, De-Leo said. “That’s what it’s about,” he said. “It’s not just the police department getting the change in the community. It’s about the community wanting change and the police wanting to support them. “There is no success if the community is not safe. Having them say thank you and recognizing the work of the men and women is just wonderful.” DeLeo was given a leadership award, while a group of officers who patrol the neighborhood also were recognized. The Hartsfield Elementary Chorus also paid tribute to the officers with a song titled “We Appreciate You,” bringing the audience to its feet. Deputy City Manager Cynthia Barber, who worked as a liaison between Bond and City Hall, also was recognized with the Neighborhood First Leadership Award. 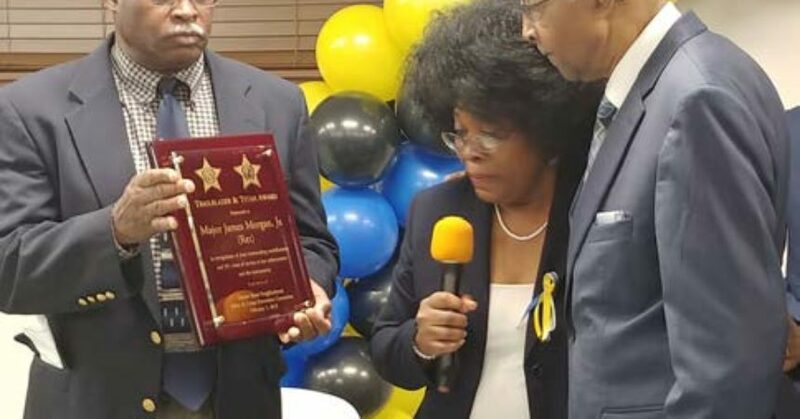 A highlight of the event was the presentation of the Titan Award to James Morgan, the first Black major with the Leon County Sheriff’s Office. Why do African American men marry outside of their race?